Someday I will have to answer for the things I have inspired. I was stumped as to what to call it. Now it’s so obvious. Good call. It doesn’t seem to me that earth can hold a dream like that. That’s some mighty fine nightmare fuel, Mike. 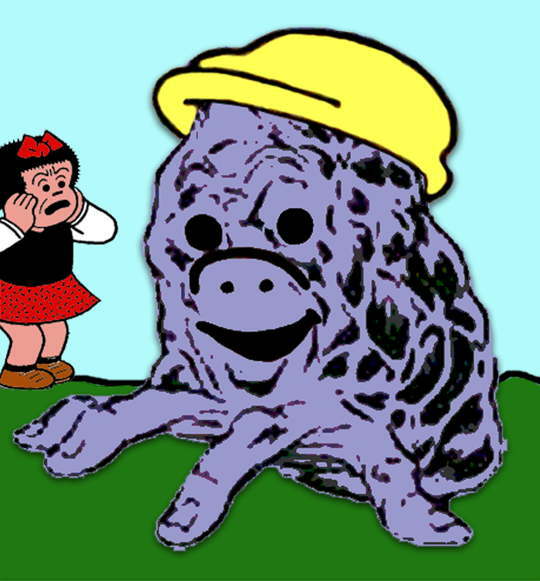 Sluggo Thing vs Sluggvunche vs Sluggius? Who would win? That was a very arcane drawing. Oh man! Almost lost my cheerios looking at that fella!